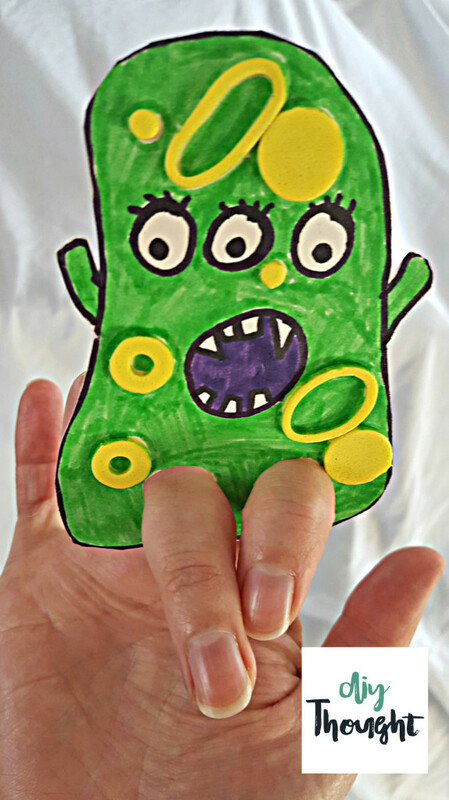 My four-year-old loves crafts to the point that she would do crafts over any other activity. Because of her craft love, it was a no-brainer this afternoon to do some crafting during her sister’s nap time. 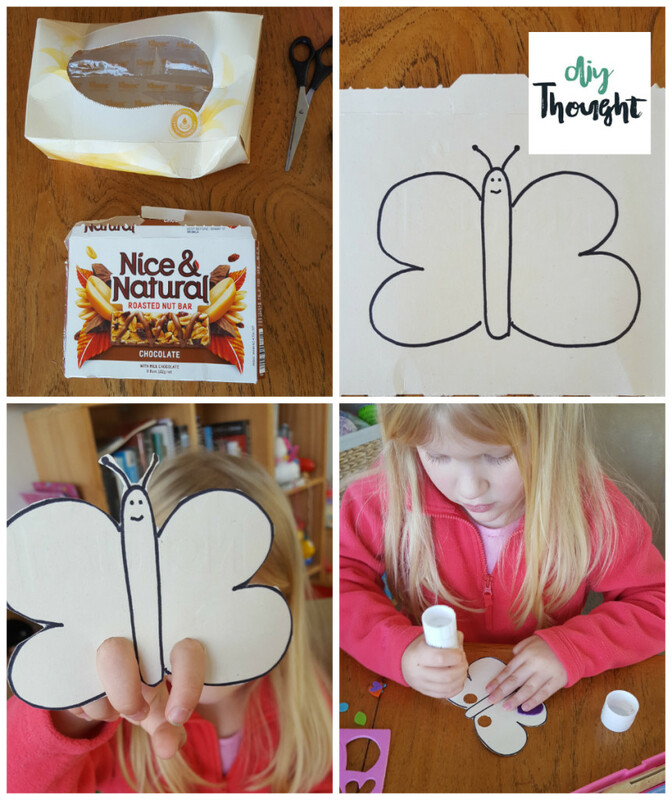 We had an old tissue box and a nutbar box so we decided to make some cardboard finger puppets. 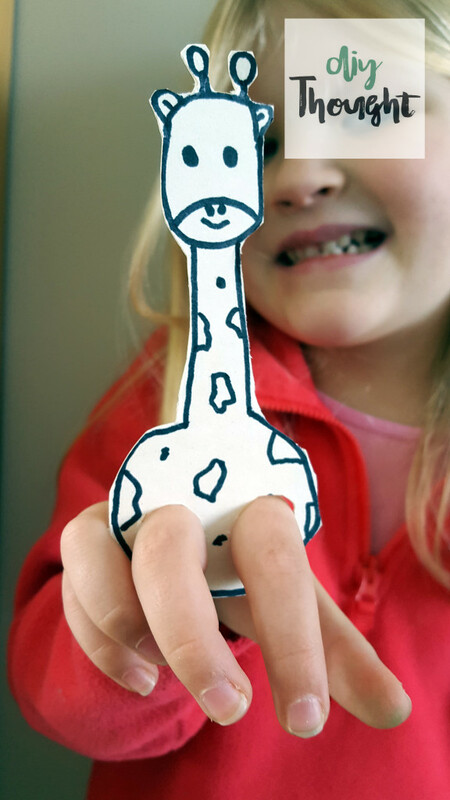 Even for the drawing challenged (like me), these cardboard finger puppets are very simple to make. Once completed we put on a finger puppet show for her little sister and dad, and she is excited to bring them to preschool to show her friends, so they have provided hours of entertainment. Cardboard. We used a nutbar box and an empty box of tissues. Decorating items. Colored pens, glitter, stickers, pom poms etc. Cut box so you have a flat piece of cardboard. On the cardboard draw your desired puppet character. We did a butterfly, bear, monster, bird, and giraffe which were all simple to draw. Enchanted Learning has some printables if you need some more inspiration. Make sure your drawing has enough space at the bottom for the finger holes! Cut out drawing and cut some finger holes. 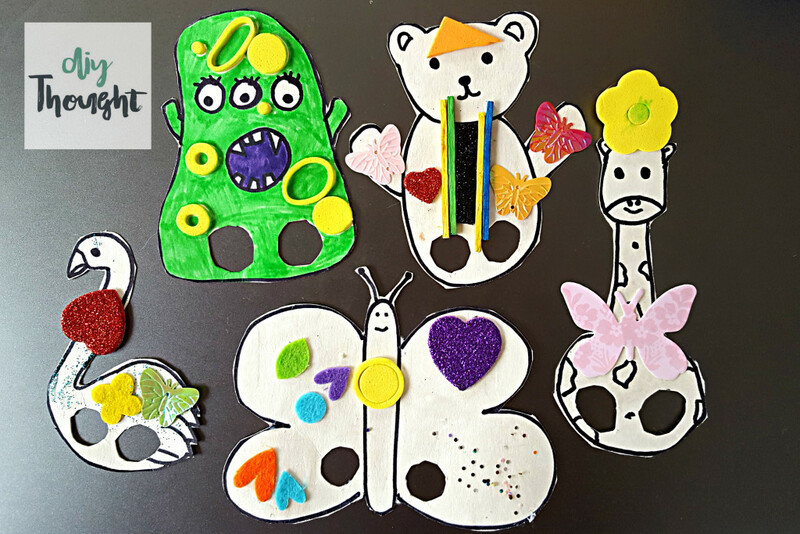 Color in or decorate the cardboard finger puppets. I tried to encourage coloring but Miss 4 was set on sticking so she used bits and pieces that we had in our craft box. Pop your fingers through the holes and your fingers are now the characters legs. Now it is time for your puppet show! Here are our finished cardboard finger puppets. 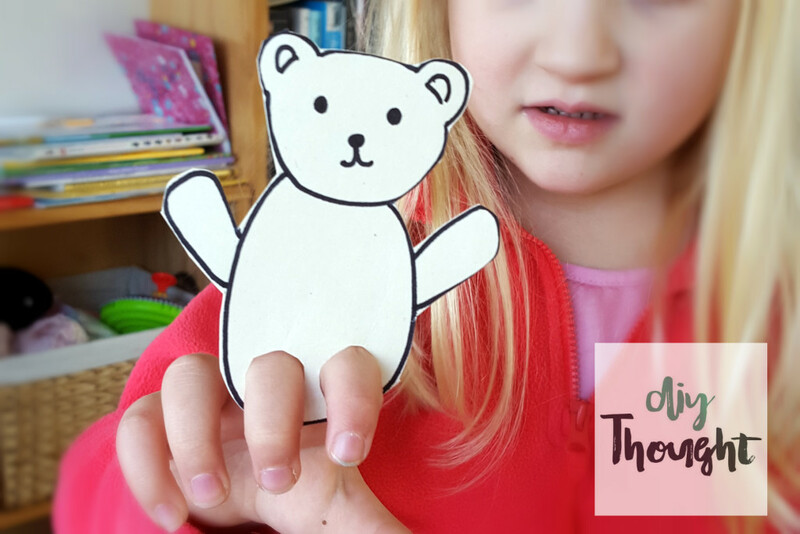 I hope you enjoy your finger puppet craft as much as we did. 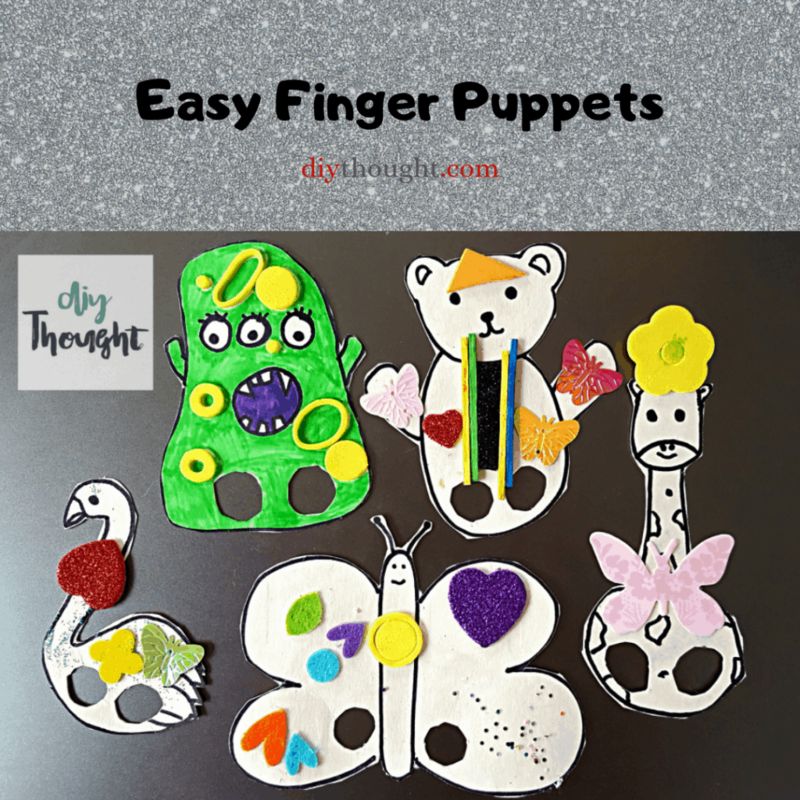 Please share a photo of your finger puppets with us if you do make them!